Gary Neville believes it is the manner in which Liverpool and Manchester City drop points that will play a defining role in the Premier League title race. It has been the Reds’ turn to endure a sticky patch of late as they were forced to settle for draws against Leicester City and West Ham. Lacklustre performances on both occasions proved the primary cause for concern over the results themselves, with Jurgen Klopp’s men failing to offer the composure that had aided their rise to the top. The champions have faced problems of their own, suffering defeats to Crystal Palace, Leicester and, most recently, Newcastle between December and the end of January. Nonetheless, Neville feels Pep Guardiola’s side have offered a more convincing case when surrendering valuable points. Liverpool responded perfectly to their minor blip on Saturday with a dominant display on the way towards a 3-0 win at home to Bournemouth. 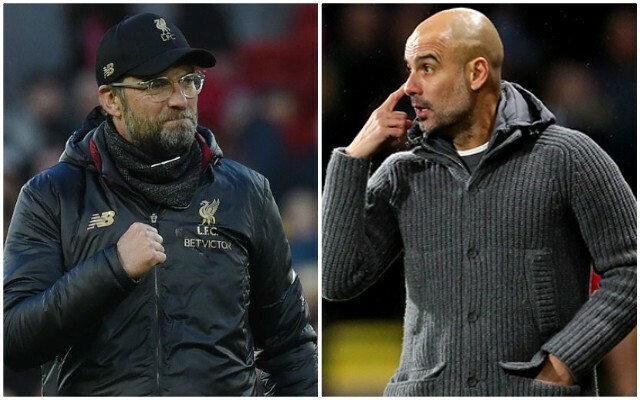 In doing so, the Reds restored their three point lead at the top of the table ahead of Manchester City’s clash with Chelsea at the Etihad on Sunday. A rapturous reception for the team bus prior to kick-off set the tone for the afternoon as the players delivered a fierce warning that they are in this title race for the long haul.